Fukujo-ji is a small neighborhood Rinzai temple in Kyoto. It is located high up in the hills above the suburb of Katsura adjacent to a thick bamboo forest. 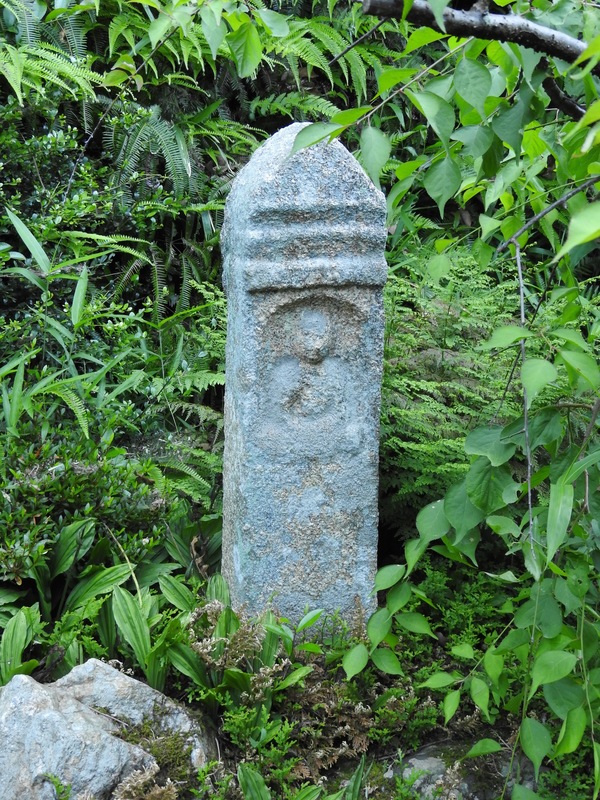 In present times the temple grounds are small and contained however in previous times the temple complex took up much more territory and consisted of many buildings. 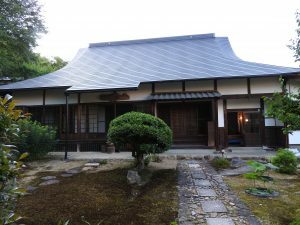 When the ancient capitol of Japan was moved from Nara, Fukujo-ji was built in 781 on the NE corner of the new capitol which was named Nagaoka. Durings these times it was thought that the North East was the direction that evil spirits come from so placing the temple high on a mountain overlooking the new capitol was intended as a protective measure. In addition to their primary name, Zen temples also take the name of a mountain, in this case the mountain Ho Shu San. 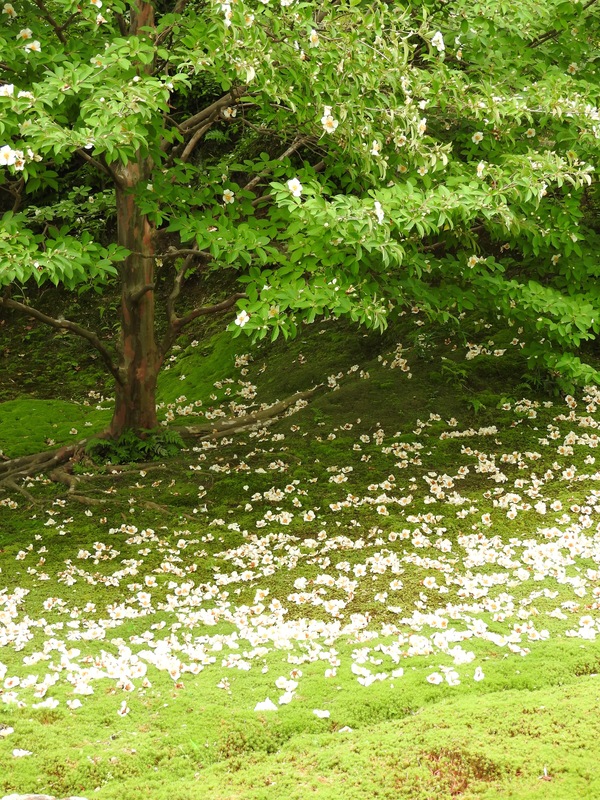 The surrounding grounds of Fukujo-ji are 1235 years old. Nagaoka only lasted a few years as the capitol and shortly thereafter it was moved nearby to Kyoto. 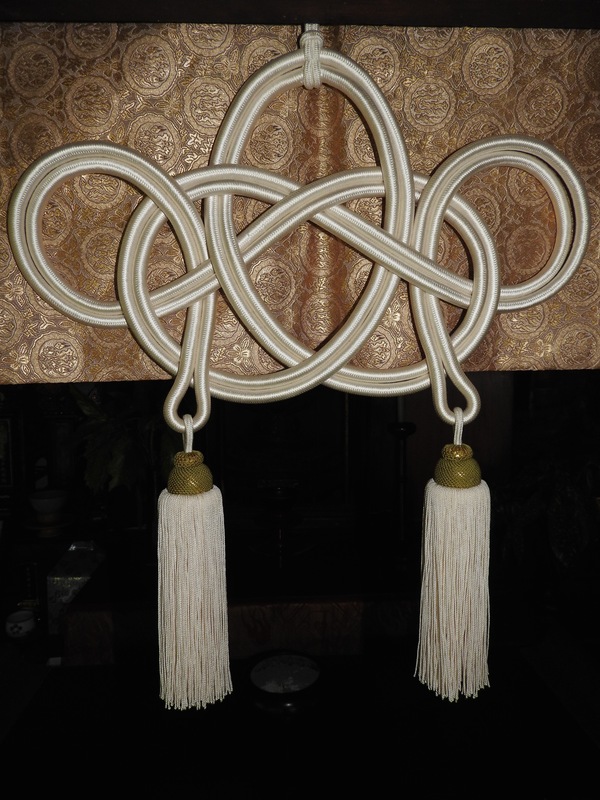 The entry way gate or Sammon presents a physical barrier for security purposes but this gate also symbolically represents the mental and spiritual barrier that prevents the ordinary person from developing transformative wisdom and perceiving ever-present enlightenment. 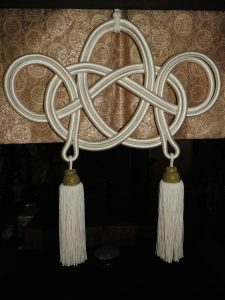 In the Zen tradition this barrier of perception is sometimes referred to as the “the gate of non-duality” in reference to the limiting polarity of ordinary dualistic thinking and activity. 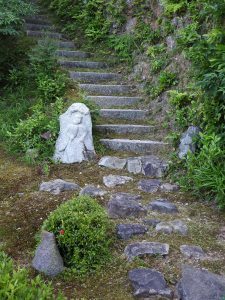 In Rinzai koan study the two main compilations of koans from China dating from around the 12th century are named the Mumonkan or the Gateless Gate and the Hekiganroku or Blue cliff Records. The present temple building is approximately 185 years old. There is a stone wall that continues beyond the complex and meanders along the road fronting modern apartment buildings. 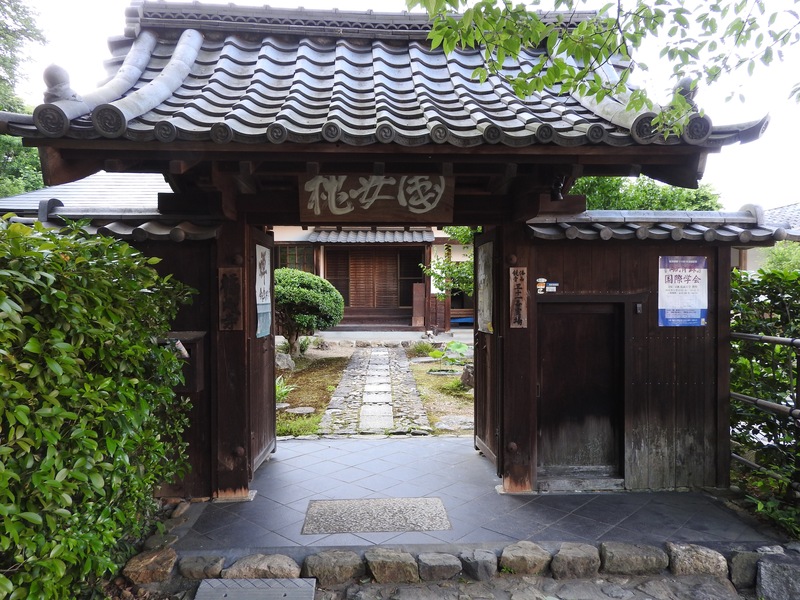 In the year 1467 all of the temple buildings along with many other temples and homes were burned down during one of the civil wars that pitted two clan factions of Kyoto against each other. 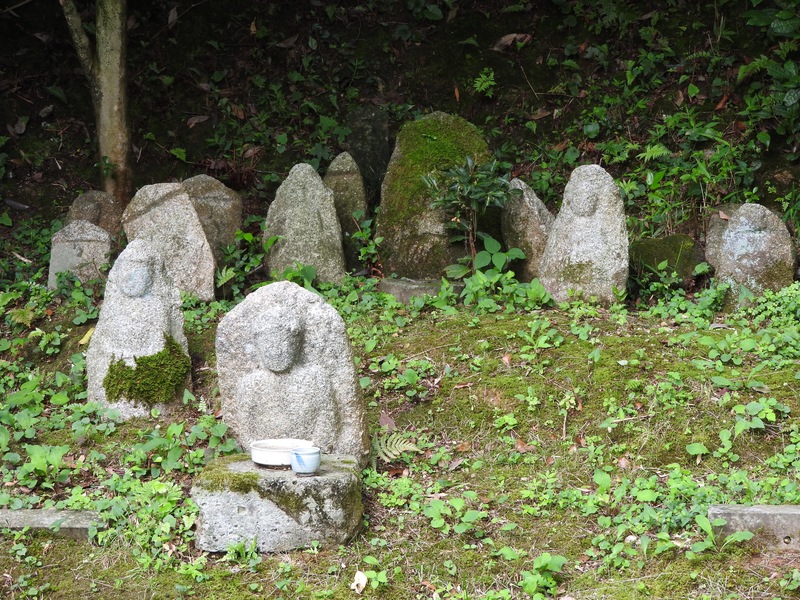 Presently, Fukojo-ji serves a small local danka or congregation. 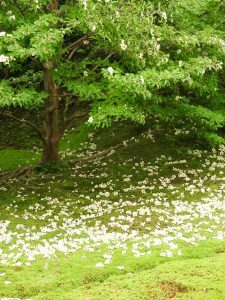 In the Rinzai sect the system of governance is divided among numerous daihohzon. Each of these daihonzon has one or more training monasteries and many smaller temples under their administration. 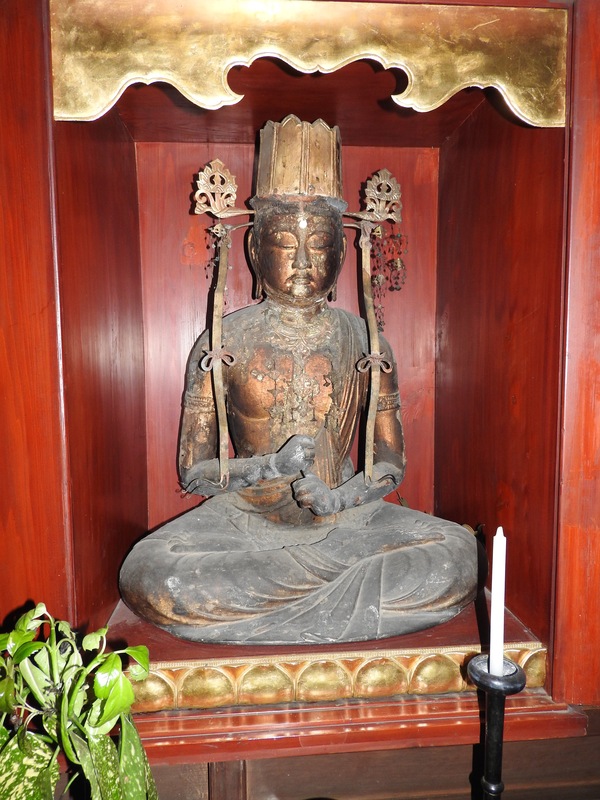 Fukujo-ji is administered by the daihonzan of Kennin-ji, which is one of the smaller diahonzans. 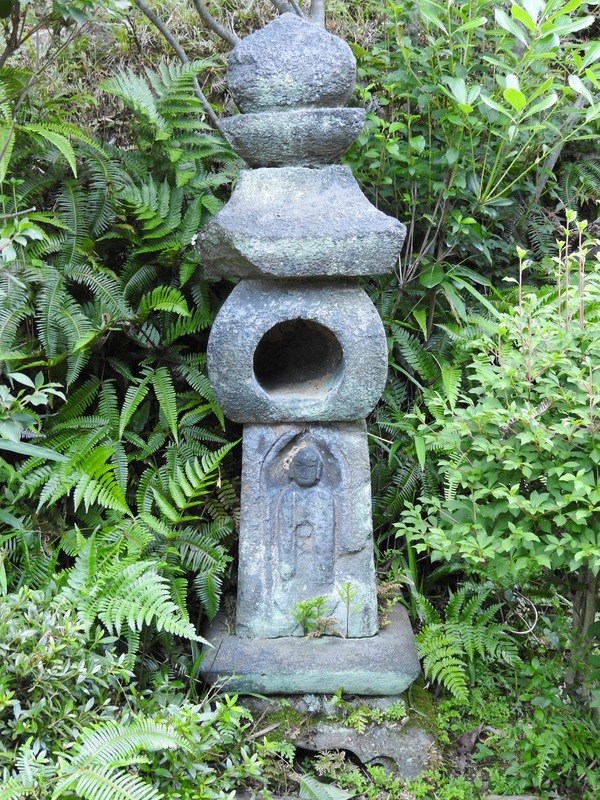 Kenninji has approximately 69 other small neighborhood temples like Fukojo-ji under it’s administration. By comparison, the largest Rinzai daihonzon, Mioshin-ji has 3,000 smaller temples under it’s administration. 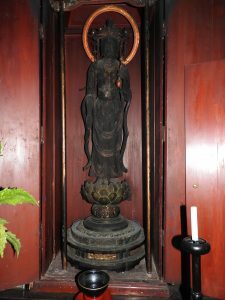 Kennin-ji was originally founded in 1202 by Myoan Eisai Zenji who had recieved Dharma transmission in both the Tendai and Rinzai traditions. 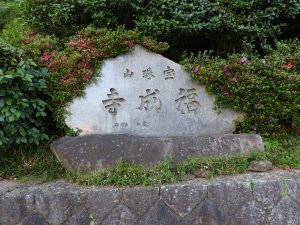 Eisai Zenji practiced a mix of Tendai and Zen for political expedience so as not to incurr the wrath of the powerful and warlike Tendai sect. 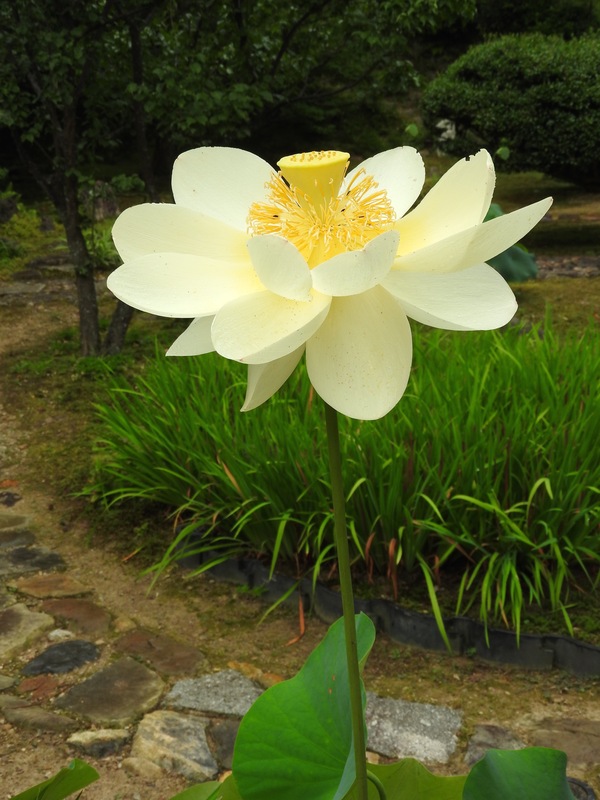 Eisai is also credited with bringing the tea plant to Japan from China. 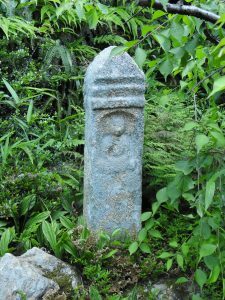 Dogen Zenji who founded the Soto branch of Zen in Japan originally trained at Kennin-ji and received dharma transmission from Eisai before later traveling to China where he also received Dharma transmission in Soto-shu. Jirai Reinhard Mehl is the resident priest in charge of Fukojo-ji. 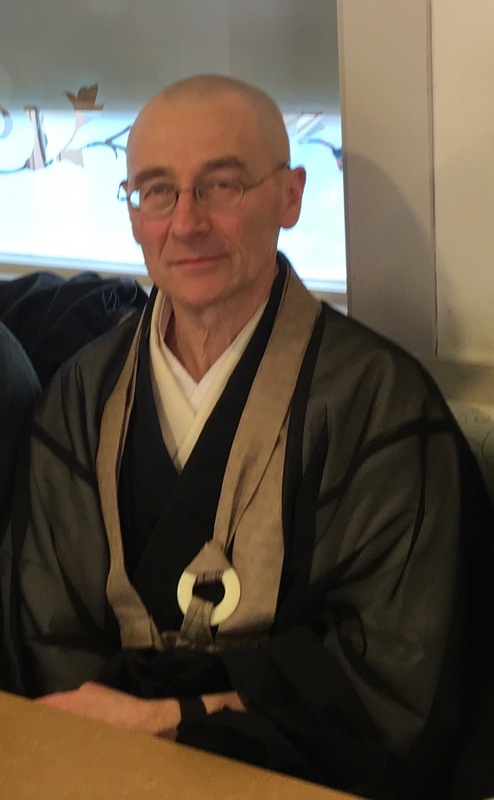 He has lived in Japan for many years and has studied and practiced both Soto and Rinzai Zen. 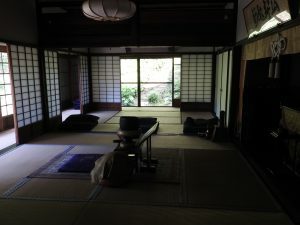 Jirai first trained as a layman in Rinsai-shu under Shodo Harada Roshi at Sogen-ji in Okayama. 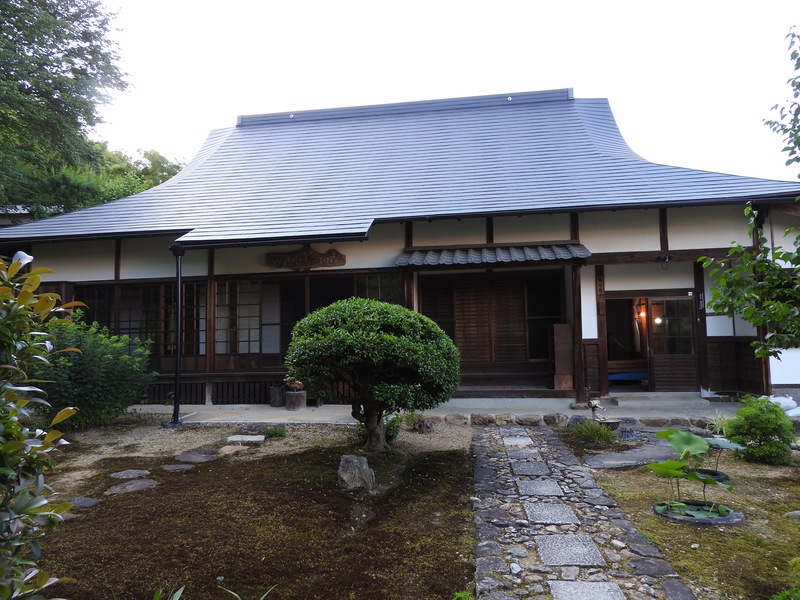 He later spent one year at Bukkoku-ji in Obama prefecture training in Soto-shu under Harada Tangen Roshi. 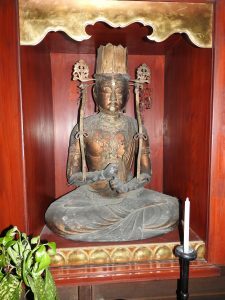 Then at the age of 50, in order to deepen his practice, he sought out Domae Jimyo who accepted him as a student and helped him enter Eigen-ji monastery in Shiga-ken prefecture where he underwent Rinsai training for 3 years. After completion of the third year of training, Jimyo Roshi turned over the administration and full day to day operation of Fukujo-ji to him. Jirai speaks German, English and Japanese. 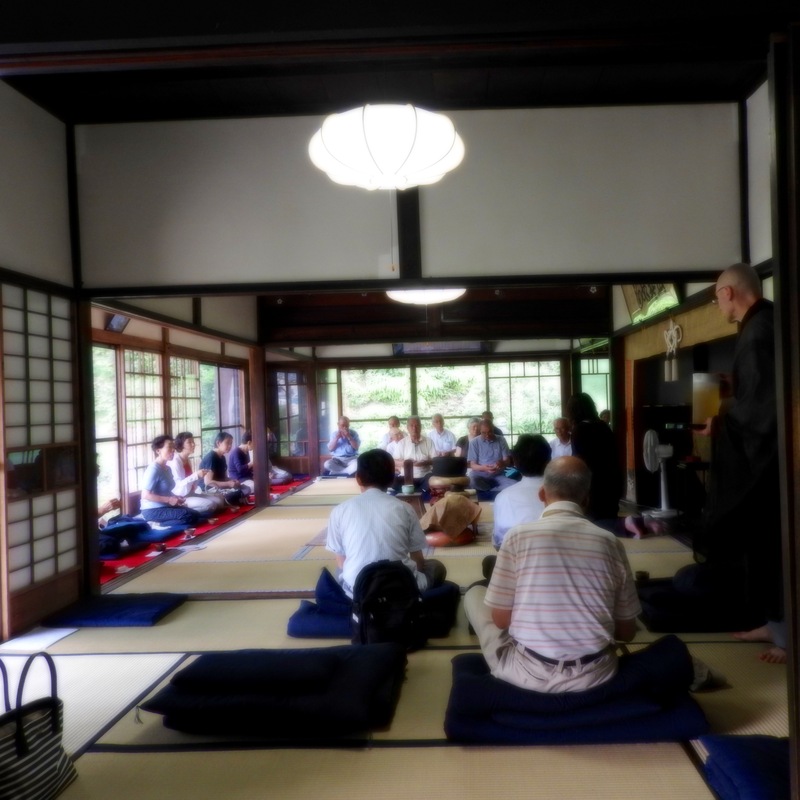 On Sunday mornings beginning at 5 AM there is Zazenkai (Zazen meeting). During this social event visitors are welcome to come and sit Zazen, do the morning service, participate in a work period and have breakfast and tea.